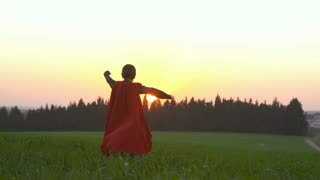 Search Results for "superhero cape"
Animation of happy cartoon superhero wearing cape and red costume while flying over abstract ray light background. Businessman Superhero With Red Cape Blowing in the Wind Walks on the Roof of a Skyscraper Ready to Save the Day. In the Background Modern City Center. Following Back View Shot. Businessman Superhero WIth Red Cape Blowing in the Wind Walks on the Roof of a Skyscraper Ready to Make Business Transactions and Save the Day. Following Back View Shot. Businessman Superhero WIth Red Cape Blowing in the Wind Walks on the Roof of a Skyscraper, Looking into the Sunset, Ready to Save the Day. Following Back View Slow Motion Shot. Businessman Superhero WIth Red Cape Blowing in the Wind Stands on the Roof of a Skyscraper Ready to Make Business Transactions and Save the Day. Low Angle Shot. Businessman Superhero With Red Cape Blowing in the Wind Walks on the Roof of a Skyscraper Ready to Save the Day. In the Background Modern City Center. Elevating Shot In Slow Motion. Happy excited boy dressed in superhero with a blue mask and a cape looking at the camera while his red and blue cape is waving in the wind in a park. Happy excited teenager girl dressed in superhero with a green mask and a cape looking at the camera while her green and grey cape is waving in the wind in a park. 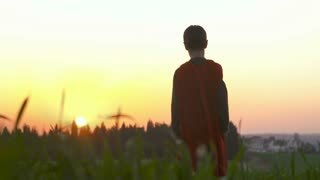 Seamless looping animation of superhero children smiling happy while wearing capes against city background for copy space. 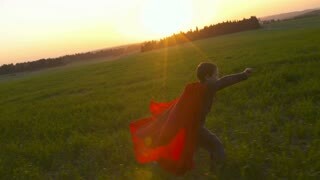 Seamless looping animation of superhero children smiling happy while wearing capes against sky background for copy space. Brave and proud teenager girl dressed in superhero with a green mask and a cape showing her muscles at the camera in the park. Happy excited kids, a boy and a girl, dressed in superhero with a green mask and a cape playing chasing each other in a park. Happy proud boy dressed in superhero with a blue mask and a cape looking at the camera with a brave expression. Happy excited teenager boy dressed in superhero with a blue mask and a cape playing and running and looking at camera and trying to fly in the park. Happy excited teenager girl dressed in superhero with a green mask and a cape playing and running and looking at camera and trying to fly in the park. 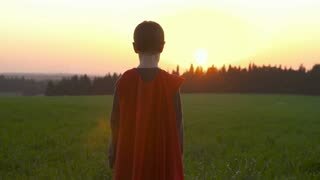 Seamless looping animation of a superhero boy smiling happy while wearing blue cape against city background as copy space. Happy excited teenagers, a boy and a girl dressed in superhero with green and blue masks and capes sitting in the park out of breath for a rush and getting high-five. 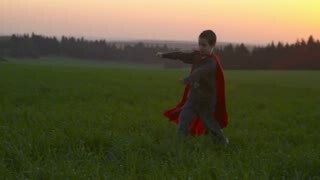 Happy excited teenager boy dressed in superhero with a blue mask and a cape playing and running and looking at camera and trying to fly in the city. Seamless looping animation of a superhero boy smiling happy while wearing a blue cape against white background. Alpha channel is included. 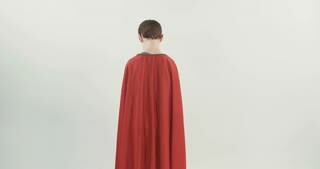 teen girl plays a superhero in red cloak. child runs across wheat field in beautiful cape against blue sky.